Our Marvel subscription program is just like any other magazine subscription—select one or more titles, and you'll get twelve issues sent directly to your mailbox. If you order more than one subscription title, you save on both! Can I get miniseries, specials, or one shots through the subscription program? How about back issues? In most cases, you can't – subscriptions run for twelve or more issues, so a four-issue miniseries, say, would be over almost before your subscription got started. You can order almost any comic you can name, though, from our sister service MidtownComics.com. These will ship separately from your subscription, but placing orders through the Midtowncomics.com site gives you great flexibility in ordering, as well as a selection that extends beyond comics to T-shirts, action figures, statues, and more. Are annuals included in a subscription? Annuals are not included in subscriptions at this time. Will I get twelve months' worth of comics or twelve issues? You'll get twelve issues even if, as happens rarely, a comic is delayed. In other words, we count comics, not months. How can I view my subscriptions account online? If you are renewing a subscription, please log in to your Subscriptions.Marvel.com account and you will be able to receive a renewal discount. If you do not have a login, visit Marvel.com and register your account with the same email address you used in your subscription and use that login to sign into Subscriptions.Marvel.com to view your account information, where you can renew your subscriptions at the lower rate. Will my subscription start with issue #1 or with the current issue? Fantastic Four started back in 1962, so it'll be difficult to begin your subscription with the first issue! All subscriptions start with the next issue released (after a brief processing time, of course), unless the subscription explicitly states "subscribe now to start with #1!" How long does it take to receive my first comic when I subscribe? Subscribers should allow 6-8 weeks before processing of their first issue. It can take up to 4 weeks for an issue to reach you once it is shipped, for international customers it can take up to 8 weeks. Your first issue may take longer than indicated if the particular title you've subscribed to has encountered production delays. Are there additional costs for Canadian and International orders? Yes. Non-US orders must add $16.50US for each 12-issue subscription ordered. Additional costs cover shipping and handling. All subscriptions must be paid for in US funds. Is it safe to order subscriptions using my credit card on the Marvel web-site? Marvel uses on-line industry best practices when it comes to protecting your security and privacy. As long as your current browser supports secure credit card transactions, your transaction will be safe. To determine if your browser supports secure credit card transactions, look at the bottom left corner of your browser. When you are at a secure site, you will see a closed padlock on Internet Explorer or Mozilla FireFox browsers. If the site is not secure, the key will appear broken and the padlock will appear unlocked. What do I do if I have not received my e-mail order confirmation? If twenty-four hours have elapsed since you placed your order and your confirmation has not arrived, please email us at marvelsubs@midtowncomics.com. Which titles are appropriate for children? All Marvel comics appeal to the child at heart! We suggest Marvel Super Hero Adventures for younger readers who are looking to take their first steps into the Marvel Universe! I haven't read comics in a long time and was hoping that you might recommend a title for the uninitiated. How about Star Wars or Amazing Spider-Man? I love a certain Marvel title! Why don't you offer a subscription to that one? Sometimes a logistical problem prevents us from offering certain titles for subscription, but sometimes we might just not know people want to subscribe to that one. So drop us a line at marvelsubs@midtowncomics.com and let us know what you'd like to see that we don't already offer. You can change the shipping address by clicking "manage Subscriptions," logging in, and modifying the address for each subscription on your account page. Please make sure to make the change in advance: because we process shipments well ahead of time, it can take 4-6 weeks for the address change to become active. How are the comics mailed? All comics are mailed in weather-resistant cellophane with a thin protective cardboard backing. Although we make every effort to ensure comics arrive in as crisp a condition as possible, please note that minor damages may be incurred during shipping. These issues are meant to be reader's copies and are not graded. US copies are mailed bulk rate mail via the USPS; international subscriptions are sent via private international courier. When I order multiple titles, will I receive a separate piece of mail for each comic or one bulk package? To ensure that our subscribers receive all of their comics in a timely manner, we mail each comic out separately as soon as it is released. How can I contact Marvel with a question about my subscription? 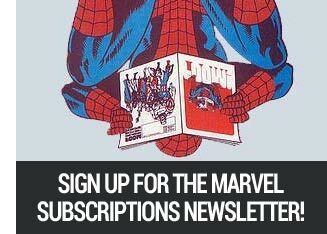 Please email marvelsubs@midtowncomics.com with your question, and we'll get right back to you. You can also call us toll free at 888.511.5480 between our operating hours of 9:30 AM and 4:00 PM. PLEASE DO NOT write to Marvel Subscriptions regarding a NON-subscription matter; you may not receive a response. 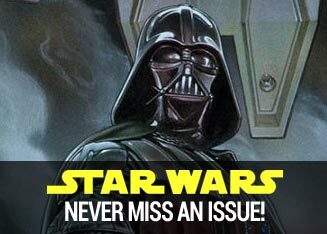 Please note that if you are having any issue with your subscription domestic subscribers should reach out to us no later than 6 weeks from the release date of the issue in question and international customers should reach out no later than 10 weeks from the release date of an issue. If a replacement is issued it can take up to 120 days to reach you. What do I do if I get my copy late? 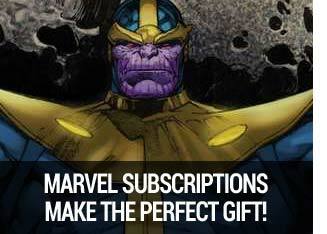 Marvel Subscriptions ships copies to subscribers on the retail on-sale date as possible. Domestic orders can take up to 4 weeks from the ship date (and some comics will come faster). International orders can take up to 8 weeks to arrive from the release date. Arrival dates can vary widely, though, and the Post Office can be slow, especially during peak shipping times, such as around holidays, so please be patient! What do I do if my copy arrives damaged? If your copy arrives in an unacceptable condition, please contact us immediately for a replacement copy. We maintains a limited supply of previous issues for replacement purposes. If the quantity of lost comics reported becomes excessive, however, we will place the account under review and notify the customer. Reporting a title as lost or damaged in no way reflects negatively on your account. Monitoring areas of loss helps provide valuable information to our postal liaison to ensure the effective delivery of subscriptions. Please note that Marvel limits us to two replacement issues per subscription, and that some degree of damage is endemic to shipping periodicals through the Postal system. If you like to receive your comics in Near Mint condition, please consider shopping, in lieu of a subscription, at Midtowncomics.com, which ships all comics either in a box or a stiff envelope. The shipping is much better, although of course the shipping cost is higher. My title has been cancelled. What are my options? If a title you have subscribed to has been cancelled, you have several options. You can request a refund for undelivered copies, have your subscription balance transferred to another title or extend an existing subscription. The default will be an automatic transfer of your remaining issues to a running, relevant title. I cancelled my subscription but still received a comic the next month. Do I have to make the cancellation request again? Depending on when you made your request it is possible that a copy will already be in the mail to you. Therefore, it is likely that your request was received and being processed even though you received another issue. Please contact us if you get more than 2 issues following your request. It will take up to 2 credit card statements before your refund is reflected on your statement. I subscribe but apparently missed an issue. Please contact us as soon as you realize you may have missed an issue. Keep in mind that your subscription copy will arrive after the issue has already appeared at retail stores. For faster shipping, you can always look to our sister site, MidtownComics.com. How can I find out when my subscription expires? Your address label on every issue shows the number of issues remaining in your subscription. I received a renewal letter, but I already paid. Please disregard any invoice or renewal notice received after mailing in your payment or renewal order as they probably crossed in the mail. How can a set up my subscription so renewals are automatic?